This is an evergreen perennial with silver foliage. An excellent plant for those dry, sunny areas. 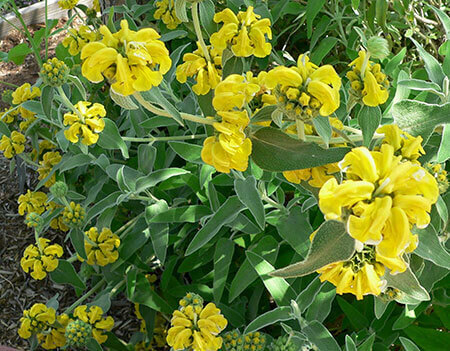 The tubular flowers in golden yellow are produced in clusters, around the stem, from top to bottom. Remove spent flowers to encourage more flowers.